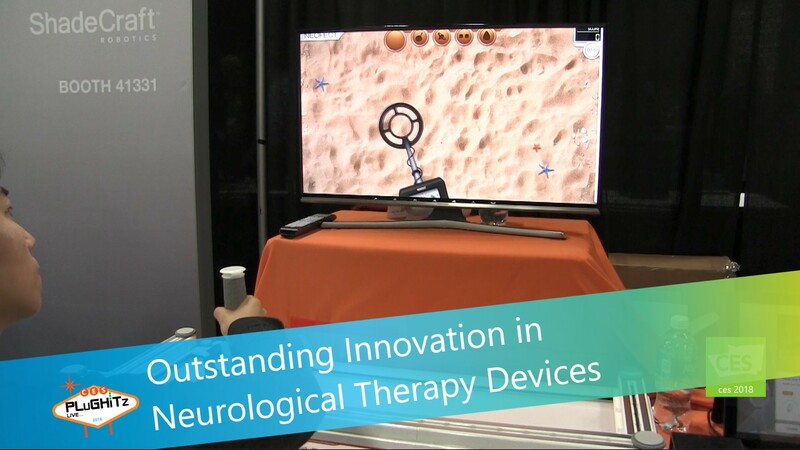 NEOFECT USA offers therapeutic devices that are designed for patients with neurological conditions. These items not only assist with their rehabilitation in really unique ways, but they make it a lot more fun while also providing a great way to track their progress. Their innovation creates a new and really exciting way to approach occupational therapy. The company currently offers Smart Boards, Smart Gloves and Smart Pegboards. The Smart Board is for stroke patients. It assists with short movement rehab by improving muscle memory. It's all about neuroplasticity, with repetitive motion that allows the brain to get through the process of relearning specific skills. It uses games, like Treasure Hunt, to help with fine motor skills in the hands. Through repetitive actions provided in the tools in the games, the patients not only get better but are also provided with feedback that is specific to their levels of progression. The Smart Glove is a real time biofeedback device that is also designed with stroke victims in mind. It allows patients to play games, as well as perform functions while going through virtual processes like pouring wine or squeezing an orange. The glove also keeps track of their specific progress and shows whether you are improving, stagnating or regressing. All of their products can be ordered without the need for a doctor's prescription by visiting their website. Price points are in the $1000 range. Coming soon: NeoMono, which will hit the market later this year. It's a wearable robot, worn on three fingers, that helps restore hand function. Check out their entire line at neofect.com.